Lowest Price Dumpster Rental & Roll Off Dumpsters - Compare & Save! 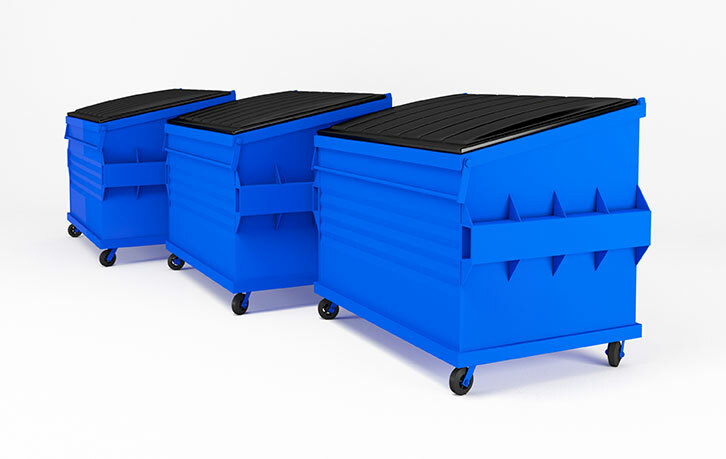 Lowest Price Roll Off Dumpster Rental - Compare & Save! Tens of thousands of small and medium sized businesses have turned to Cork'd to save on roll off dumpster rentals since 2010. We are singularly focused on getting you the best roll off dumpster prices with the least amount of hassles possible. If you need immediate delivery of a 40 yard dumpster or regular service of a small 15 yard roll off dumpster, we can help. It literally takes less than two minutes to provide just a few bits of information about your project needs and we do the rest. You can have a roll off dumpster delivered the same day in most areas during non busy seasons. First of all, as everyone knows, time is money. So if you find an unreliable roll off dumpster rental company who shows up late or not at all, you can incur huge lost opportunity costs from work that should have been done. Worse yet, if you need a roll off dumpster at your construction site and work cannot proceed until the rubbish is removed, you can multiply these costs by the amount of idle workers on site. Second, working with uninsured dumpster rental companies can wreak havoc in the event of an accident. Dumpsters themselves can weigh up to 1,500 lbs., and many tons when loaded. Moving dumpsters around on a job site or your property is not that dangerous but accidents can and do happen. If property, vehicle and bodily damage exceed your deductible and your vendor is uninsured, you can be on the hook for damages. - Third, it can pay to build up loyalty with one dumpster rental company so that a mutually beneficial relationship develops. When trust is present, additional discounts and perks are not far behind. Our research shows that companies who stick with one roll off dumpster provider end up paying more than 20% less on average than the typical client.